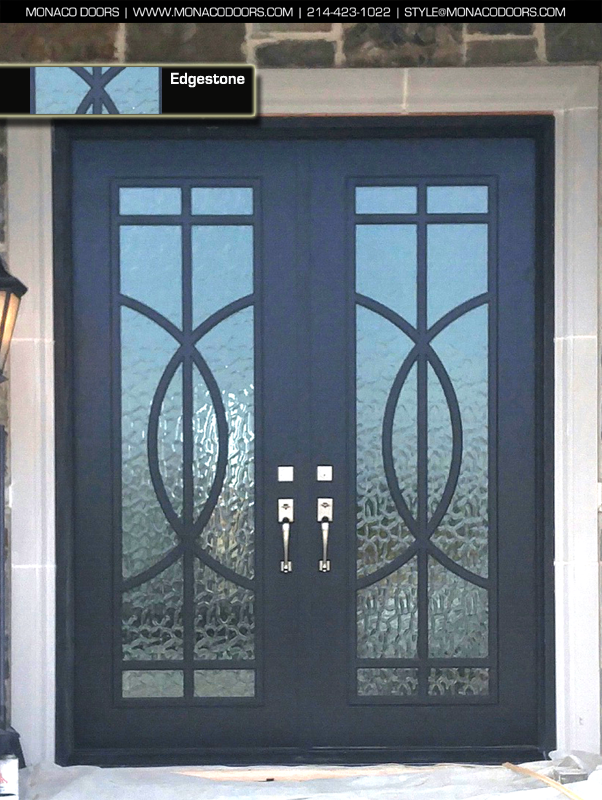 Standard and optional features are available on most of our iron doors. 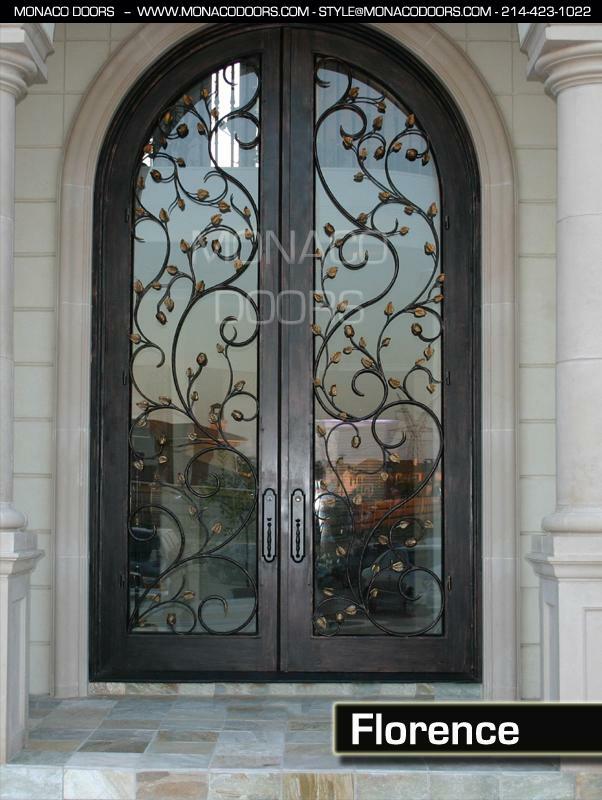 Monaco Doors is a superb manufacturer of iron doors. Combining high-tech designing and manufacturing processes with quality hand forged iron art work. 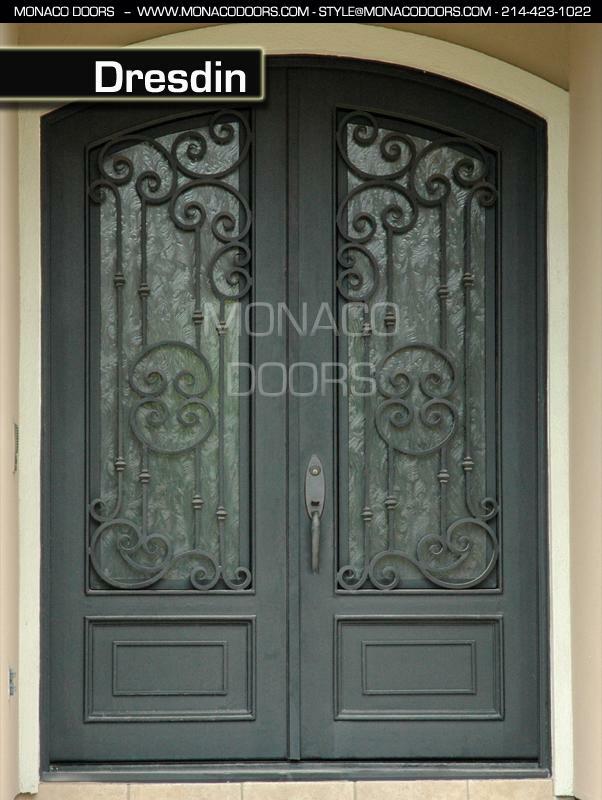 We look forward to talking with you soon about Monaco Doors. Please contact us with any questions you may have about our iron doors or other available products. 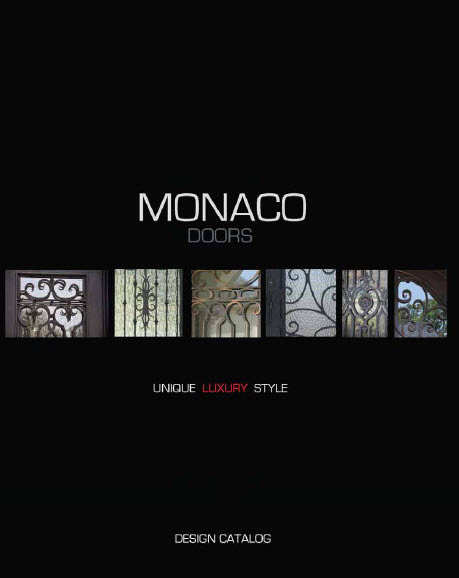 Thanks for visiting Monaco Doors. Heavy load hinges are pre-mortised, not welded, and are attached by screws to the iron jamb. Operable glass panels secured to the door with hinges and safety locks. Baldwin Hardware handle and deadbolt sets. Low-E, double pane, tempered glass units. Air and water-resistant compression weather stripping and durable multi-bulb door sweeps. Flush bolts on all double door units.